Sport: With the exception of a heavy but brief down pour last night the hot bright conditions have continued for most of the last week. 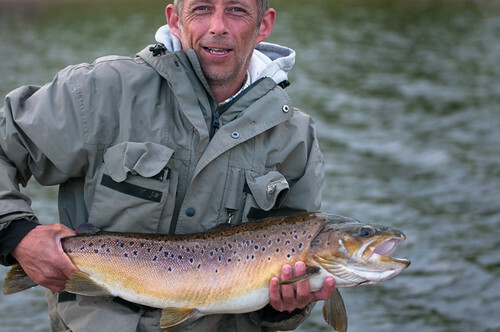 Although these conditions are certainly not the best for trout fishing anglers are still catching fish. Whenever there is any cloud cover dry daddys and hoppers have taken trout but as cloud has been sparse fishing much deeper on di5 or di7 fast sinking lines has been the best tactic. Olly Moore and pals had a good day landing trout up to 3lb in weight. They had plenty of action whilst fishing fast sinking lines and minkies deep down right in the middle of the main basin. Mr Tiddeswell had a super day landing 9 trout and hooking and losing others. A fast sinking line and minkies set up was his best tactic with the deeper water up the dam arm his best spot. Peter Murphy was amongst the fish yesterday whilst boat fishing along the dam wall. Peter caught his fish on a di5 and black tadpole. Peter Soloman was another successful angler but this time opted for a sink tip line and team of black buzzers fished deep and static around the dam. The deepest water right in the middle of the lake has been by far the best area, this is where the coolest water will be found. Syotw Paul. This entry was posted in Stocks Reservoir Fishing Reports on July 17, 2018 by staff.